Taking a family vacation during the summer is a great American pastime. Where to this year? The mountains, the beach, a river, a city, a theme park? If you are dead-set on immersing your child in Spanish, and doing whatever it takes to get them to fluency, then taking a summer vacation with this in mind will do wonders. 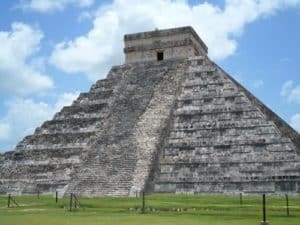 Chichen Itza – one of the new 7 wonders of the world. Just standing in the midst of this iconic edifice will give you an eerily powerful feeling of history and realization. The Cenotes – gorgeous, cool, and magnificent underwater rivers. You absolutely must visit a local cenote and go for a swim. Xcaret – an eco archaeological park filled with family fun. 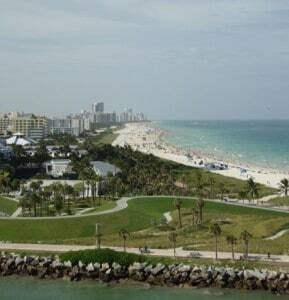 Snorkeling, swimming with dolphins, cultural activities, dancing, and more fill this large park. The Beach – the beaches in this area are pristine, comfortable, and great for swimming or sipping on a drink with a tiny umbrella within. An eclectic city in the United States (maybe you can fly or drive here at a lower cost), where Spanish speakers outnumber English speakers. For an ultimate vacation for history buffs, and those wanting to really see the source of the Spanish language (and total culture), Barcelona is a wonderful vacation. This may not be the cheapest locale for a family this summer, but one worth visiting. Los Golondrinas – small double-decker boats which offer a harbor tour and a coast tour. Children love riding these boats and seeing the sights in a water-born way. Tibidabo Amusement Park – this is one of the world’s oldest fairs, open for more than 100 years. So many attractions, games, and food for young children or old. Parc de Ciutadella – Barcelona’s major public park, containing the city zoo , a lake, art, and more. Time to plan your family’s vacation! Of course, bring some BookLingual Spanish books along the way to keep your kids busy on the plane, in the car, and at the hotel. Leave comments on what you think about these 3 places, and where are you going this year? 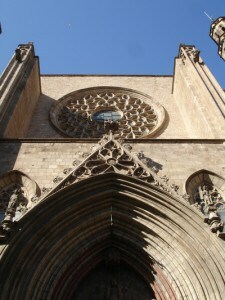 I love Barcelona, I went there when I was a teenager, and now I came back to study Spanish. It’s an amazing city to spend a few months!